In the heart of Sheffield theatreland, the Library Theatre is an intimate, traditional 260 seat art deco venue with a licensed coffee bar. 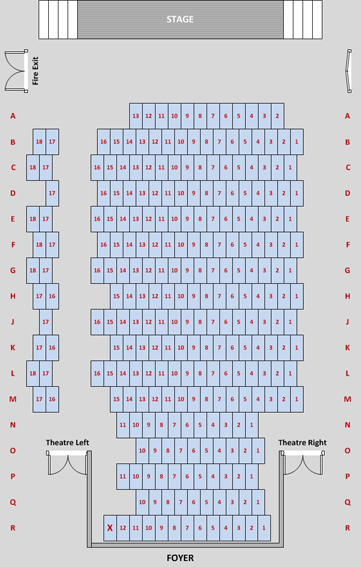 The standard price for all seats is 10 pounds each, concessions are priced at 9 pounds each. We also operate a system of season tickets, covering the three full length plays in any one year. These guarantee fixed seats at a discounted price with a minimum of fuss. Tell us when and where you would like to be seated, the type and number of tickets you require and we will do our best to accomodate you. - by Credit/Debit Card online via PayPal.